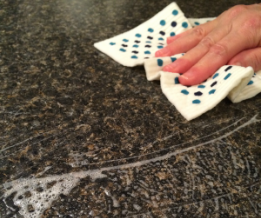 A wonderful cleaning cloth for kitchens, countertops, bathrooms, windows and mirrors. ​Use with just water or soap. Cleans streak free. Use them over & over again! Shop our store for New Designs!